As Medical Director of Advanced Surgical Arts in Plano, Texas, Dr. Doohi Lee applies the principals of Regenerative and Integrative Medicine as the foundation to enhance patient treatments and clinical outcomes in Cosmetic Surgery, Aesthetic Medicine, Laser Medicine and Surgery, and Musculoskeletal Ultrasound. In the area of Musculoskeletal (MSK) Ultrasound, Dr. Lee has taught internationally since 1990, and served as the first USA physician to introduce MSK Ultrasound to the Olympic Games in 1996. Working with NASA, Dr. Lee was a part of the research team to teach Astronauts who were on board the International Space Station. Dr. Lee originated the concept of Sonoscopic Surgery, where ultrasound is used not only as a mere guidance tool, but as a surgical instrument. As in other minimally invasive surgical techniques, ultrasound becomes Sonoscope to visualize, guide, direct and monitor not only needles but also many types of surgical instruments for soft tissue surgery. Dr. Lee and his colleagues are proud to offer courses to introduce physicians from multiple disciplines; to teach basic and advanced concepts of Sonoscopy while training them in multiple techniques of needle and instrument manipulations for soft tissue and joint procedures. 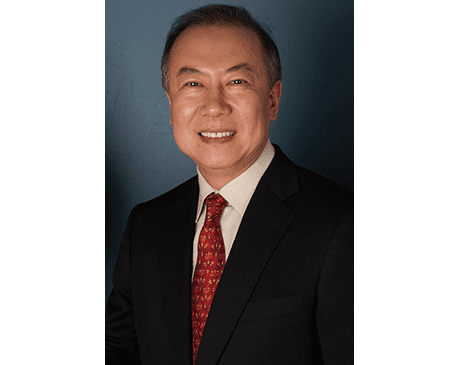 In the area of Regenerative Medicine, Dr. Lee has developed The Diamond Matrix® which is a comprehensive 3-D structure of applying all the basis of Integrative Medicine toward creating and maintaining a healthy human being. The Diamond Matrix® incorporates the principals and concepts of Nutrition, Life-style, Brain Health, Regenerative Medicine, Cosmetic and Aesthetic Medicine, Emotional and Spiritual Health and Sexual Health in a multi-factorial structure to optimize health. Dr. Lee is also an active practitioner of all aspects of Cosmetic and Surgical Laser applications. These include Light-based therapies, ablative and non-ablative facial procedures, body contouring, acne and scar treatments, tattoo removal as well as laser lipolysis and Endo-Venous Laser Ablations (EVLA) of incompetent veins. He has served as Key Opinion Leader (KOL) for various companies such as Lumenis, Sciton, and Fotona, presenting lectures and live courses for Cosmetic Laser application. In the area of Cosmetic Surgery and Aesthetic Medicine, Dr. Lee is dedicated to practice and teach the “untouched” appearances from his aesthetic procedures and treatments. Versed in art and sculpture, Dr. Lee strives to realize the natural look that enhances a patient’s individual beauty rather than anything that distorts or over-emphasizes the facial features. He has served as a National Trainer for Suneva as well as in numerous seminars and training courses in non-surgical aesthetic medicine. His training and teaching reach a wide area, from basic Neuro-modulator techniques and all types of fillers to the use of biologics including Platelet-rich plasma (PRP) and Stem Cells for aesthetic purposes. Dr. Lee holds Certifications from the American Board of Laser Medicine and Surgery, American Board of Aesthetic Medicine, American Board of Anti-Aging Medicine, American Board of Vein and Lymphtic Diseases, and American Board of Radiology. He also has Fellowships in Cosmetic Surgery (American Society of Cosmeto-Gynecology), Regenerative Medicine (American Academy of Anti-Aging Medicine) and Stem Cell Medicine (American Academy of Anti-Aging Medicine) and the American Society of Cosmetic Breast Surgery.